Sequel to our post dated March 12, 2018 wherein we enumerated the various objectives on the need to integrate the Mirrored Version to that of the FMJD Version (See the post beneath), which is primarily for the benefits of the Mirrored Board players to catch up to world level. 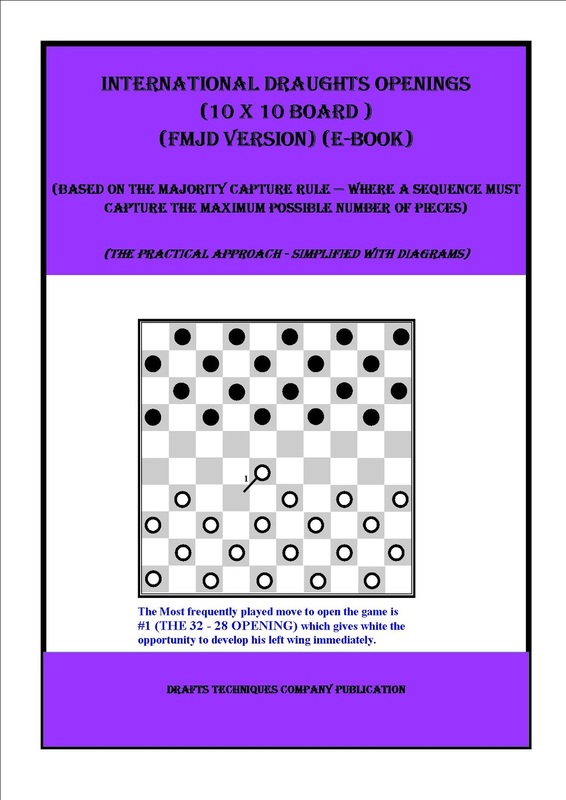 We hereby present the complete E-book FOR BOTH THE MIRRORED AND THE FMJD VERSIONS for the players/readers that are interested in the purchase. This 214 page (i.e. 16 Chapters) E-Book gives details of the various openings as contained in the TABLE OF CONTENTS (See here). This 211 page (i.e. 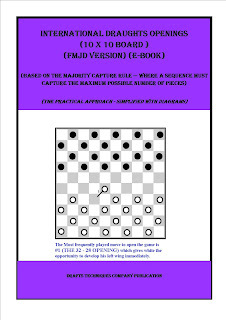 16 Chapters) E-Book gives details of the various openings as contained in the TABLE OF CONTENTS (See here). We are really grateful to you for your feedback and are glad that your community find our work useful. We sincerely thank you for your feedback and compliment. We believe everyone can get things done so long as you put your mind to it. Nothing good comes easy. Kitaplarımızı satın almak için Western Union ile bize ödeme yapacaksınız. Bunu yaptığınızda, e-postayı bize göndereceğiniz e-postanıza göndereceğiz. To buy our books, you will make payments through Western Union to us. When you have done that, we will send the e-book to your email that you will send to us. Bu e-kitabımızla ilgileniyorsanız, fiyatı 6 dolar. Daha fazla yardıma ihtiyacınız olursa lütfen bize bildirin. Western Union'daki isim Nijerya'daki Lagos'taki Bay Kurokeme Mozimo olmalıdır. Kindly help us with your feedback. 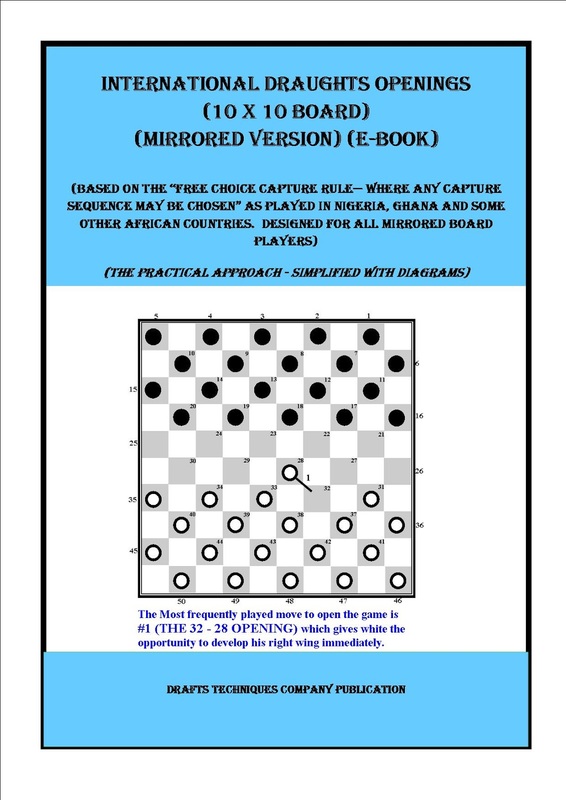 This presentation on the International Draughts Openings (10 x 10 Board) is aimed at the proposed integration of the Mirrored Board Version (Where the Dark Bottom Square is to the right of both players) as played in Nigeria, Ghana and some other African Countries, with that of the World Draughts Federation (FMJD Version) (Where the Dark Bottom Square is to the left of both players) FOR THE BENEFIT OF ALL PLAYERS THAT USE THE MIRRORED BOARD. We hereby introduce to them the "Mirrored Notation" as the major tool to align the notations of the Mirrored Board to that of the FMJD Version. This will open All Mirrored Board Players to thousands of books and magazines to enable them study hundreds of thousands of games and positions to catch up to world level.